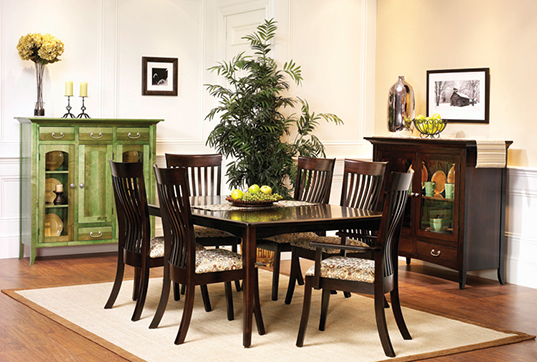 Rileys Real Wood Furniture is Eugene, Oregon’s premier furniture store. 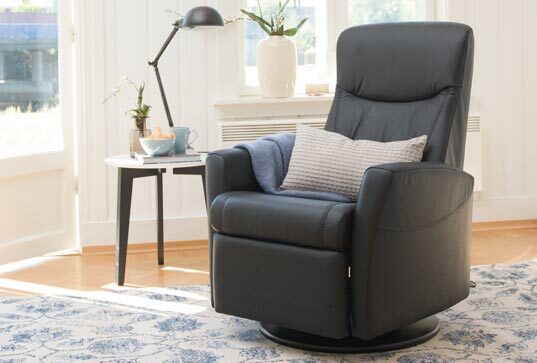 Rileys features a wide selection of bedroom furniture, living room furniture, dining room furniture, office furniture, and everything else in between. Furniture is our passion, which is why we carry the highest quality leather and real wood pieces. We are locally and family owned and have been in Eugene for over 30 years. While the furniture has changed over time, our business model has stayed the same.From mid-century modern designs to contemporary pieces, we understand the value of classic furniture. Over 90% of the furniture in our showroom is made in America, so you can feel good about where your furniture is produced and confident in its quality. We strive for heirloom quality and innovative design from brands with similar ethical practices as ours. 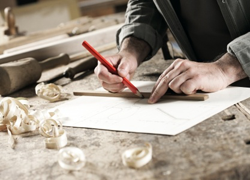 From local manufacturers like Wood Castle and JenCo Furniture to international brands like Magniflex. 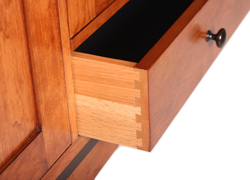 All of our furniture is handpicked, and wouldn’t be in our showroom if it wasn’t good enough for our own homes. Our friendly and knowledgeable staff will make your furniture shopping trip enjoyable and easy, at your own leisure. The bottom lines is, when you shop at our furniture store we treat you like family. Let your living room furniture speak volumes with sleek, beautiful and comfortable pieces that are quality crafted. Whether you’re looking for a 100% top-grain leather couch or a handcrafted, locally made real wood coffee table, Rileys is the furniture store in Eugene that you’re looking for. In most homes, the dining room is often the most used room. That’s why it’s about time to invest in dining room furniture that’s built to last a lifetime of memories. From storage hutches to 100% real wood dining room tables, come visit our furniture store and pick out the piece that’s perfect for you. 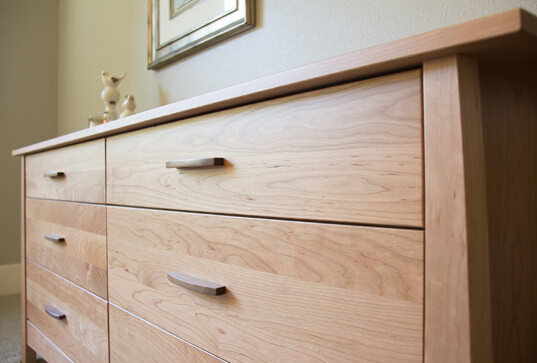 Our selection of bedroom furniture varies from pieces perfect for a modern downtown apartment to a contemporary family home in the south hills of Eugene. Get the best sleep you’ve ever had with one of our Magniflex mattresses and pair it with one of our real wood platform beds for the ultimate sleeping experience. Families are not all the same size, so why should furniture be? 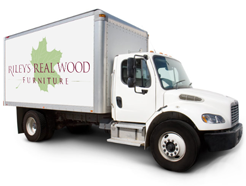 Rileys Real Wood Furniture Store is proud to offer a wide range of made-to-order furniture. 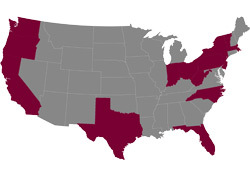 At Rileys we have sought out small American brands that share our commitment to quality and sustainability. When you choose to have your furniture delivered from Rileys, you can rest assured that your piece will arrive at your home safely. We are one of the only furniture stores in Eugene that offers the highest quality standards for real wood furniture and leather furniture.